Dual Rear Exit systems are designed for the person who wants that custom look of a dual exhaust on a late model vehicle that came with a factory single exhaust. 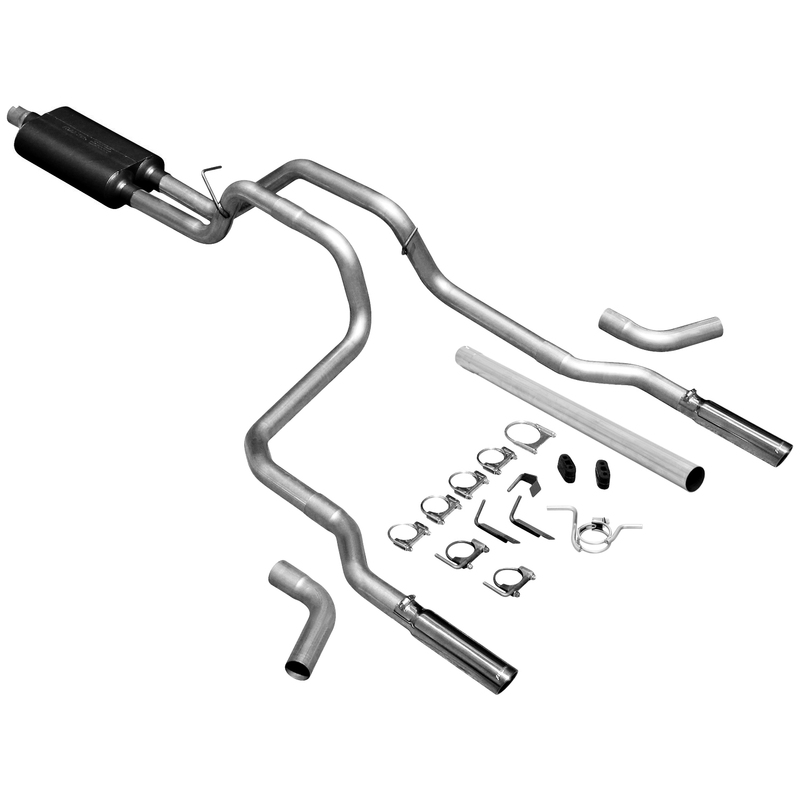 These systems feature mandrel bent 16 Gauge aluminized steel tubing, either weld-on or flanged inlet pipe/pipes, a specially tuned muffler, clamps, hangers and stainless steel exhaust tips for that aggressive look and sound of a dual exhaust system. Our dual side exit systems are recommended for towing applications.